Choosing wallpaper for your home is an exciting way to get creative, and a great way for you to add a personal touch to your space. It’s an easy feat, as you can now buy wallpaper online! 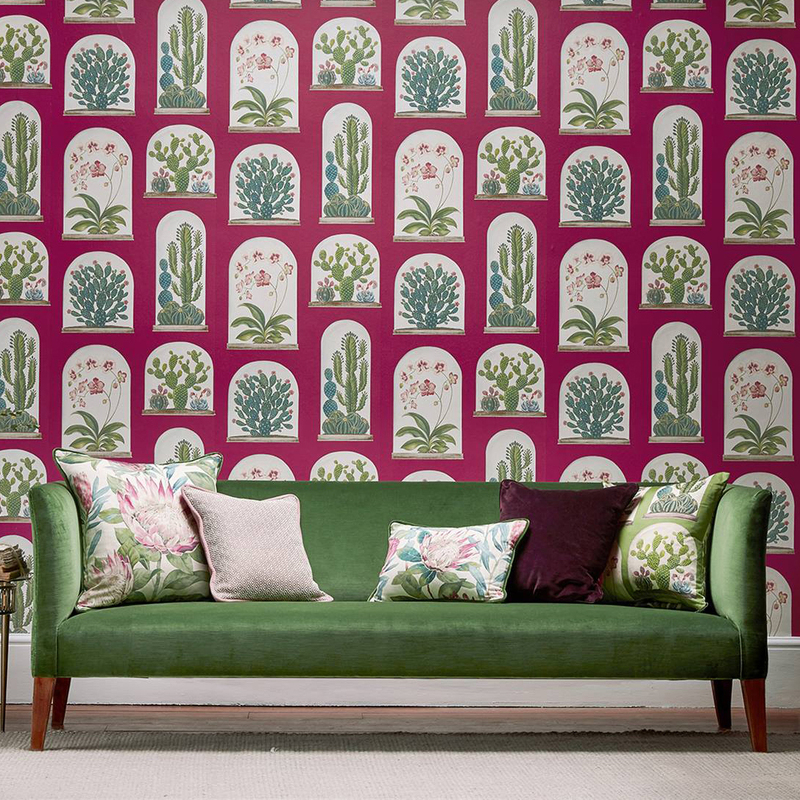 But it can seem daunting the first time around, so if you’re new to the world of wallpaper, you may want a little help, especially if you’re unsure what comes after the selection process. Today, we tackle the art of choosing wallpaper! Finding the right design of wallpaper may seem like such an overwhelming task, but always remember to think of how you want the design to match your space. It’s also useful to have clear goals when it comes to what you want to achieve for your room. Do you want the space to look bigger? Do you want the style match with other feminine touches of the room? Or do you want to use bold wallpapers that make a statement? Bold wallpaper prints are perfect if you’re keen to make your walls double as an art piece. On the other hand, using softer wallpaper designs are less likely to clash with your furniture. Textured wallpaper can help mask any imperfections in a wall surface, while adding an element of tactility. A smooth wallpaper design offers a more refined look. It’s all about determining exactly what look and feel you want to attain! Once you’re able to determine the colour, style, and pattern you want, it’s also helpful to know what the most ideal material for you to use. The material you use can determine the overall finish of the wallpaper, which is just as important as the design. There are three types of paper. Woven - more textured normally like grass cloth or linen looking. Paper - which can be smooth, shiny or matt. Or Vinyl which is normally heavier, textured and more suitable for wet or hard wearing areas. Committing to a wallpaper design is crucial, but you don’t have to be apprehensive about every decision you make! If you’re a little worried or you can’t make up your mind just yet, you can buy one roll to test it in your room and see how it makes you feel. Does it reflect your personality? Does it lighten your space? Does it complement the overall theme of your room? If you answer yes to all, it’s probably worth the investment! The next step is finding out how much wallpaper you need to purchase. Good thing Allium can help you work out the quantity of wallpaper you need! Measure all the walls and draw in windows and doors, with measurements of their placement on each wall. If at all daunting we can come out and measure. Or we can get one of our wonderful wallpaper hangers to measure and quote hanging at the same time. Let this be an opportunity for you to experiment, have fun, and put your DIY skills to the test. Don’t be afraid to try something new, to mix and match, and to breathe energy to your space. Design your wall just the way you want. Ready to Transform Your Room? Allium Interiors offers a wide selection of wallpapers you can choose from. If you want to transform your room, brighten your space, change the look of your rooms, you can check out the cool wallpapers we have online and in store for you.